Cape Girardeau, MO – In a game that went down to the final play, Austin Peay State University’s (APSU) football team simply ran out of time in their bid to spoil Southeast Missouri’s Homecoming, falling 31-27 despite another outstanding afternoon on the ground. Austin Peay (3-4, 1-3 OVC) racked up 226 yards rushing on 41 carries for a tidy 5.5 yards per rush; three Govs averaged eight yards per carry as the Govs continually found space between the tackles and off the edges against Southeast Missouri (4-2, 2-1). The Govs got on the board quickly after forcing an opening-drive three-and-out by the Redhawks. On Austin Peay’s first play from scrimmage, sophomore Ahmaad Tanner burst through the line for a 24-yard scamper. Two plays later, Jeremiah Oatsvall found a wide-open DJ Montgomery for 34 yards down to the Southeast Missouri 13-yardline; on the next play, junior Kentel Williams found a seam in the defense and strolled untouched into the endzone. Southeast Missouri would pick up a 35-yard field goal in the first quarter, but the period was largely a defensive battle that Austin Peay controlled. The Redhawks picked up that field goal thanks to a 58-yard kick return to set them up inside the Austin Peay 40-yard line; aside from that, Southeast Missouri averaged just 3.8 yards per play in the first quarter, with Daniel Santacaterina accounting for 27 of those on just two plays—an 11-yard rush and a 17-yard pass to Kristian Wilkerson. The two teams spent much of the second quarter battling for field position. Oatsvall was able to reverse field position with his second downed punt inside the one-yard line of the contest, but the Redhawks marched 80 yards in 13 plays, burning nearly five minutes off the clock. 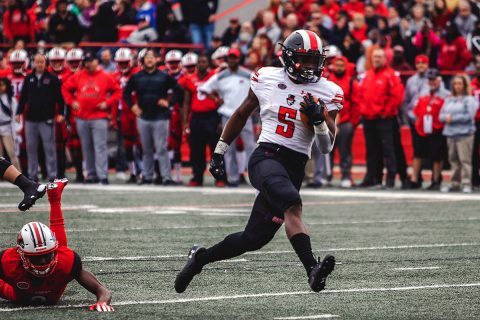 However, when the Governor defense had to make a stand it did—on fourth and two, Corey Brown bottled up Zion Custis short of the line to gain to give the ball back to the Govs. Sometimes you need a little luck, and the Governors got it twice in the second quarter. The Redhawks first drive of the period stalled inside the Austin Peay 30-yard line and Nicholas Litang’s field goal attempt sailed wide right. Southeast Missouri’s penultimate drive of the half resulted in a Litang miss left from 37 yards away. The second miss gave the Govs the ball 80 yards from the goal line and just over a minute to go. Three plays later—a 22-yard pass to DeAngelo Wilson, a 14-yard pass to Gorel Soumare and a 23-yard scamper by Oatsvall—the Govs were knocking on the Redhawk redzone. On third-and-12, Oatsvall dropped back and found Wilson in the end zone for a 23-yard strike, Wilson’s fourth receiving score of the campaign, to send the Govs into the break with a 13-3 lead. The Governors picked up right where they left off to start the second half. On third-and-nine on the half’s first possession, Oatsvall found Wilson, who made a leaping one-handed catch and sprinted deep into Southeast Missouri territory, picking up 51 yards to reverse the field. However, a controversial pass interference call erased an Elijah Brown touchdown and ultimately, the Govs were moved out of field goal range before giving the ball back to the Redhawks. Three first-half advances across midfield had yielded just three points for the Redhawks; their fourth, on their first drive of the second-half, resulted in a 15-yard fade from Santacaterina to Wilkerson in the corner to bring the Redhawks back within a field goal. 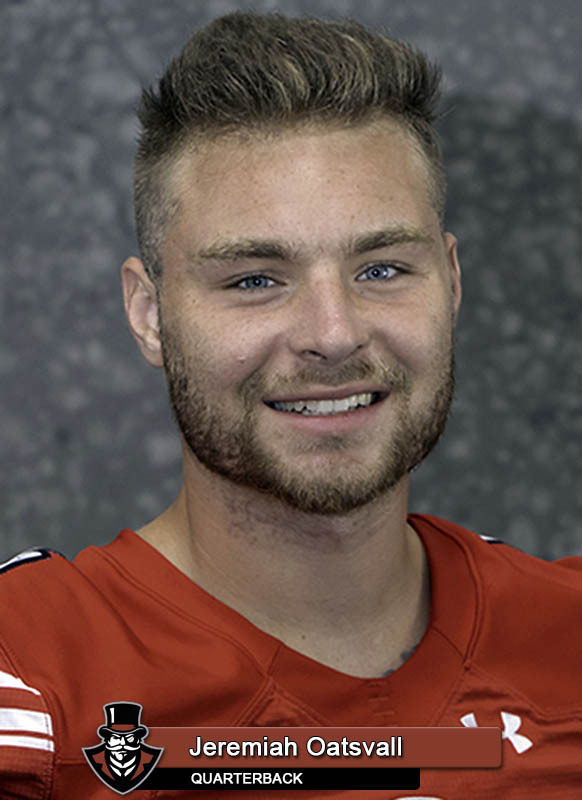 When a promising Governors drive stalled near midfield, it was Devin Stuart’s turn to pin Southeast Missouri deep, and he did so by rolling a 38-yard punt inside the Redhawk five-yard line. However, another sustained march by the Redhawks saw them drive 96 yards in eight plays, the last a 19-yard pitch-and-catch from Santacaterina to Austin Crump to put Austin Peay behind for the first time all game. Back stormed the Govs. Wilson got a full head of steam on a 10-yard run on a pitch out of the backfield. A pass interference call got the Govs into Redhawk territory, and a fortuitous roughing the passer call on third-and-six gave the Govs a first-and-goal opportunity, and Tre Nation capitalized. A six-yard touchdown plunge, his season’s third, put the Govs ahead by a field goal with just under nine minutes to go. The Redhawks would need less than 90 seconds to respond. From the first play of the next series—a 25-yard strike to Jerrick Orr—Southeast Missouri marched 79 yards in just five plays, covering the last 30 on a Santacaterina-to-Smith catch-and-run. 24-20 Redhawks, with 7:30 to play. A big penalty followed by an even bigger Williams run set the Governors up deep inside Redhawk territory on the ensuing drive. 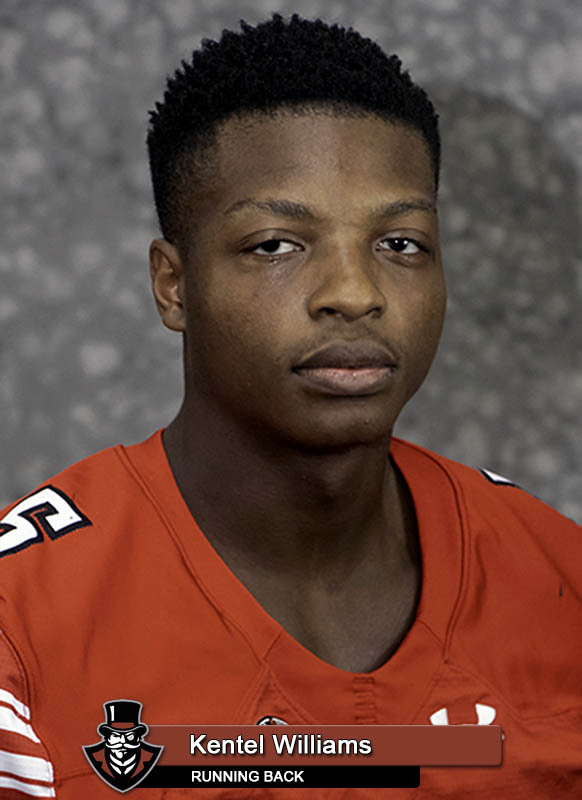 A second-and-long situation was nullified by a Southeast Missouri penalty; two plays later, Williams broke off a 35-yard gainer to the Redhawks 23, putting him over the century mark on the day. When the offense reached its most critical play of the day, the Govs went with the matchup that had paid dividends all day—Oatsvall-to-Wilson. On fourth-and-four, the Govs went for the score instead of the first down and one 17-yard, over-the-shoulder catch later, the Govs had retaken the lead. But that would leave just enough time for the hosts. Starting on their own 27 with 3:34 remaining, Southeast Missouri picked up two first downs in quick strikes but appear to have finally run out of steam at the APSU 40-yard line, facing fourth-and-14. Under pressure, Santacaterina uncorked a prayer of a heave to Orr, who somehow came down with it at the three-yard line. Three plays later, Marquis Terry punched it in with 15 seconds remaining. A last-gasp heave near midfield by Austin Peay as the clock struck zeros went for naught and the Redhawks escaped with a victory. Both Williams and Wilson were well north of 100 all-purpose yards on the day; Williams finished with 104 yards rushing, 37 receiving and another 18 on returns, while Wilson needed just eight touches (five receptions, three carries) for 151 yards (127 receiving, 24 rushing). Oatsvall did his part through the air, finishing 15-of-29 passing for 229 yards and a pair of scores. Led by Juantarius Bryant (12 tackles) and Gunnar Scholato (10), the Governors did an excellent job bottling up Terry; the league’s leading rusher needed 20 carries for 40 yards. And while Santacaterina rolled up 344 yards through the air, 209 of those came in the fourth quarter; over the first three quarters, the Govs limited him to 9-of-25 passing for 139 yards and a Malik Davis interception. Austin Peay now enters the bye week; the next time the Govs take the field will be for the Oct. 27 Homecoming contest against Tennessee Tech at Fortera Stadium, with kickoff set for 4:00pm.